Join us for next month’s HR HotSpot webinar: What’s Trending in 2018: Employee Benefit Perks, presented by Mariana Ancira, Vice President and Account Executive at Parker, Smith & Feek. Mariana will discuss seven key benefit perks that the most forward-thinking employers are offering in 2018. She will also share insight on how offering benefit perks to current and potential employees can work to attract and retain quality employees in this competitive labor market. Get a peek at sample vendors and the benefits they offer. Discover how employers are implementing and communicating perks in order to differentiate themselves from competitors. Learn more about measuring ROI from a perks program. Is it even possible? Mariana is a Vice President and Account Executive in the Employee Benefits Department at Parker, Smith & Feek and has worked in the employee benefits field for more than 17 years. Her experience includes employee benefits consulting for employers with up to five thousand employees in multiple industries, such as non-profit, health care, legal, technology, broadcasting, education, service trades, construction, wholesale/retail, and hospitality. She has extensive knowledge and experience with Employee Benefits Consulting, Health Care Reform, Self-Funded Health Plans, Wellness Programs, Group Life and Disability Insurance, Group Dental Insurance, Private Exchanges, and Defined Contribution plan designs. Mariana is a graduate of the University of British Columbia (Canada) with a B.A. in Sociology, holds the GBA designation from the Wharton School of Business at the University of Pennsylvania, and holds the NAHU Wellness Certification. 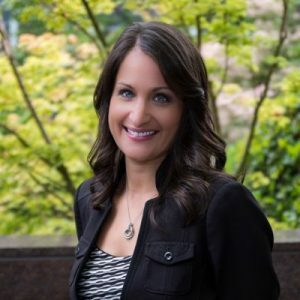 She is an Advisory Board Member of the Pacific Northwest Ballet, Past President of the Seattle chapter of the National Association of Health Underwriters, and a member of the Society of Human Resource Management, Employee Benefits Planning Association, Washington Technology Industry Association, and the Executive Women’s Golf Association.